Ridden by the world’s best freestyle scooter riders, Grit scooters are the most advanced pro scooters on the market. Combining precision design and the highest quality materials, Grit has the perfect scooter to suit your style, skill or discipline. Live to ride and show some true grit on the new Grit scooter range. Grit complete scooters, parts and accessories are available leading scooter stores, specialty independent bike, skate and toy stores. Choose from four awesome graphic designs and colour combos. 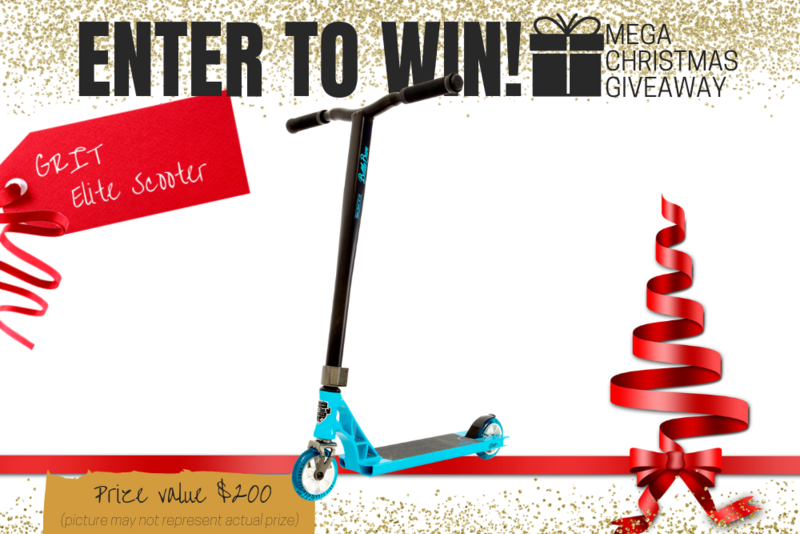 www.gritscooters.com.au. 1. **GRIT Elite Scooter. Total Prize Value $200.00** AUD (the "Prize"). 2. It is the responsibility of the winner to collect the Prize within 7 days of the end of the Competition Period from the Promoter’s Mornington office. 3. The Prize, or any part thereof, must be accepted as awarded and is non-negotiable, non-transferable to another person and non-convertible and is not transferable for cash. 4. The prize must be collected from the Promotors Mornington Office, unless otherwise advised.